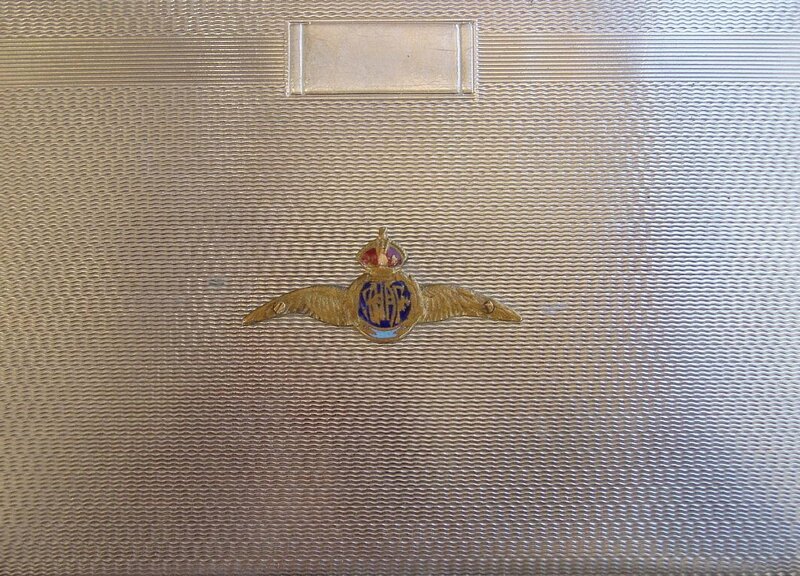 The cigarette case shown below was given to Robert G. Ruegg by two pilots with the 75 Squadron RAAF - F/Lt Peter Turnbull & F/Lt John W. Piper in May 1942 at Port Moresby. 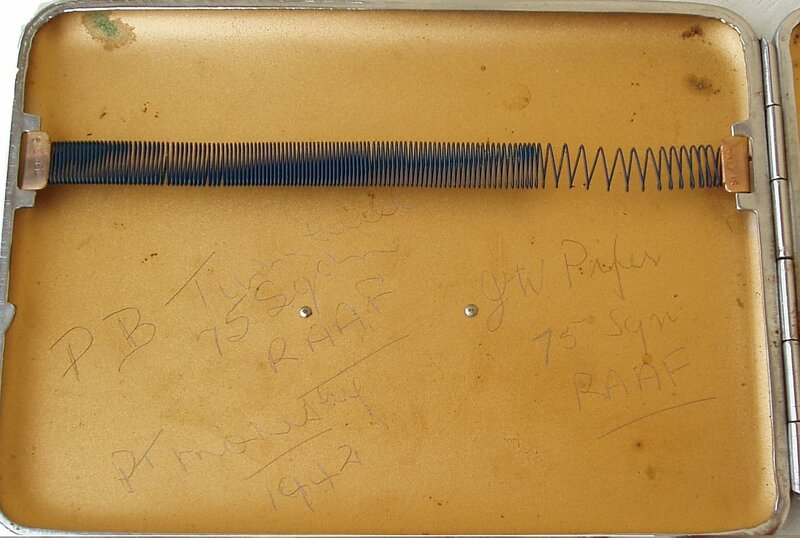 Inscribed inside the case are their names and Port Moresby 1942. Doug Ruegg told me that his father kept this on his desk for as long as he can remember. 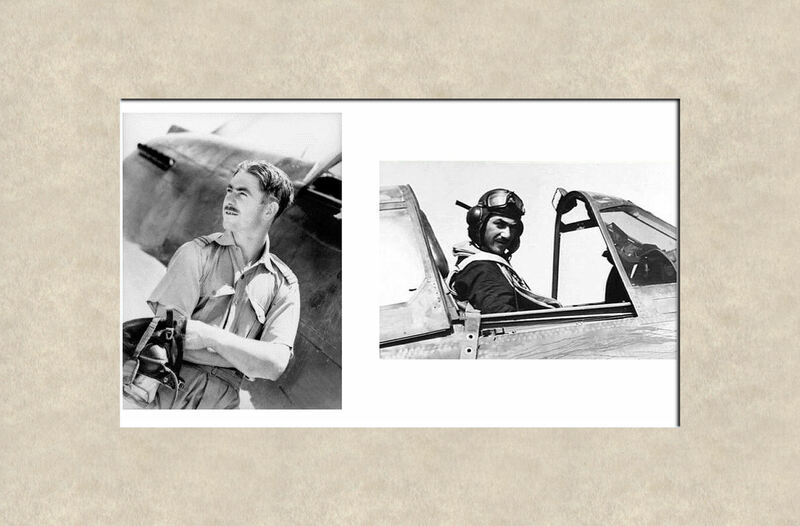 On the 3rd of May, Bob Ruegg and four other 8th pilots went over to the 75 Squadron for a farewell dinner. The report concludes with "it was a very good affair and everyone had plenty to drink. Bob didn't get home". 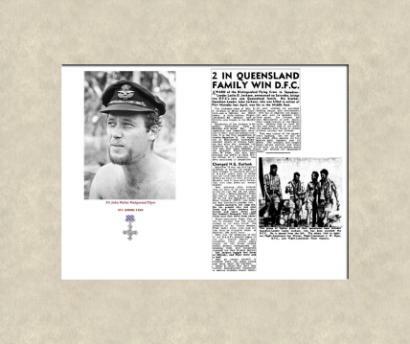 It could be assumed that this was when Bob was given the cigarette case by Peter Turnbull and John Piper who were still in Port Moresby. A small symbol of a friendship forged in WWII between a RAAF pilot and an American pilot was remembered in a small ceremony at 76 SQN, RAAF Base Williamtown, on November 2, 2012. 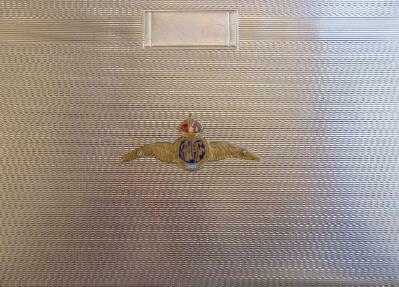 In May 1942, F/Lt. 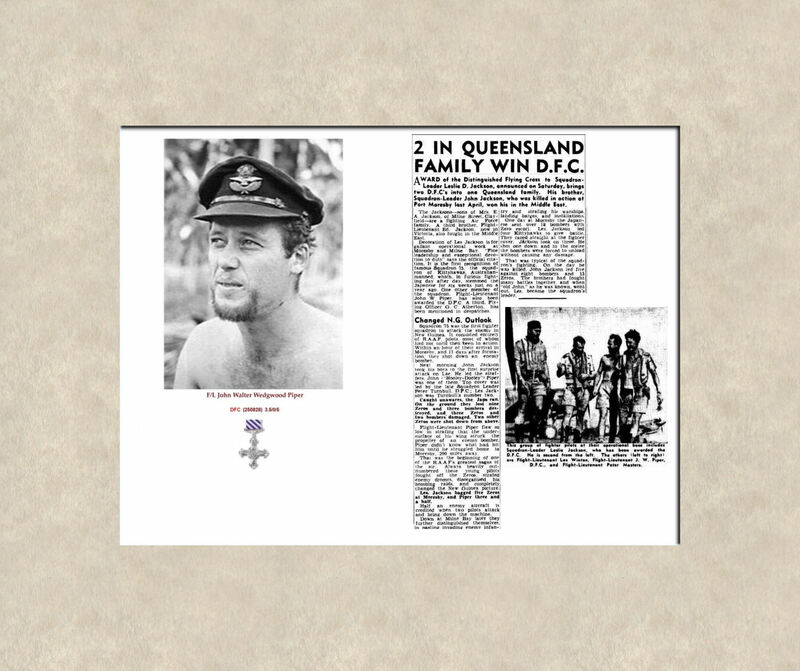 Peter Turnbull was appointed Squadron Leader & CO of 76 Squadron at the outset of the Battle of Milne Bay against the Japanese invasion force. 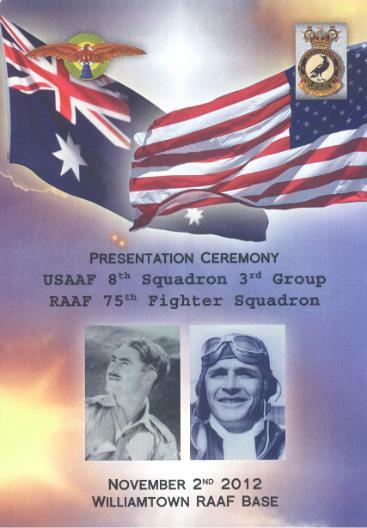 In addition to the RAAF's 75 and 76 Squadrons, air defence was shared by the 8th Attack Squadron of the 3rd Bombardment Group (L). 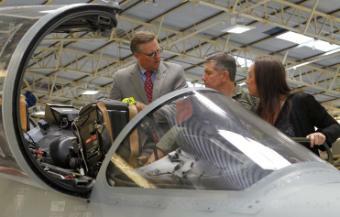 F/Lt. Turnbull met and formed a close friendship with the then Lt. Bob Ruegg, an 8th Attack Squadron pilot. After the defeated Japanese withdrew, 75SQN hosted a farewell dinner for the 8th Attack Squadron during which F/Lt. Turnbull gave his friend an engraved cigarette case embellished with the RAAF eagle as a farewell gift. Shortly afterwards, Squadron Leader Turnbull was killed in action serving as the Commanding Officer of 76 Squadron, while Lt. Ruegg went on to have a long and distinguished career. 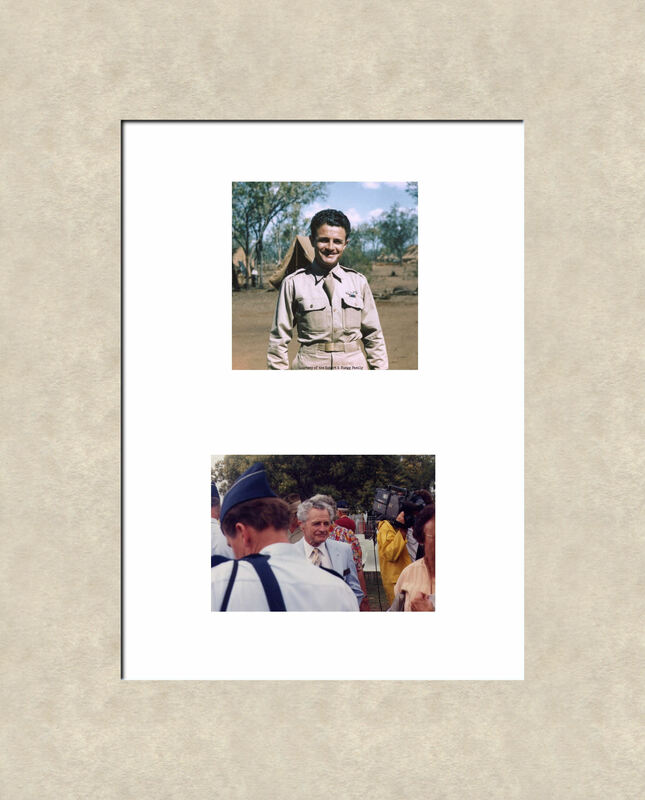 He retired in 1972 as the Commander-in-Chief Alaskan Command as a Lt. General and sadly died in 2009,aged 95. 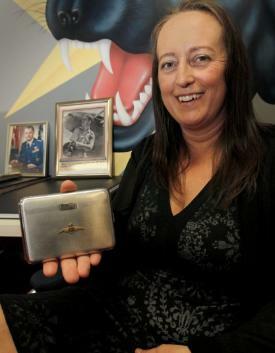 With his passing, his family decided to track down the Turnbull family and return the case to them. 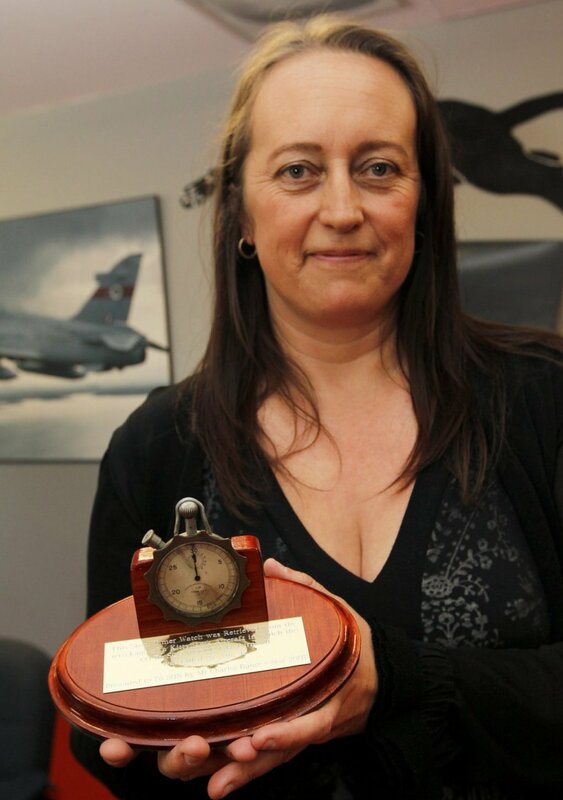 They contacted the 75 Squadron Association and its secretary, Mr. Peter Nelm who in turn found Squadron Leader Turnbull 's great niece, Alison Turnbull, after which steps were put in place for the transfer of the gift. 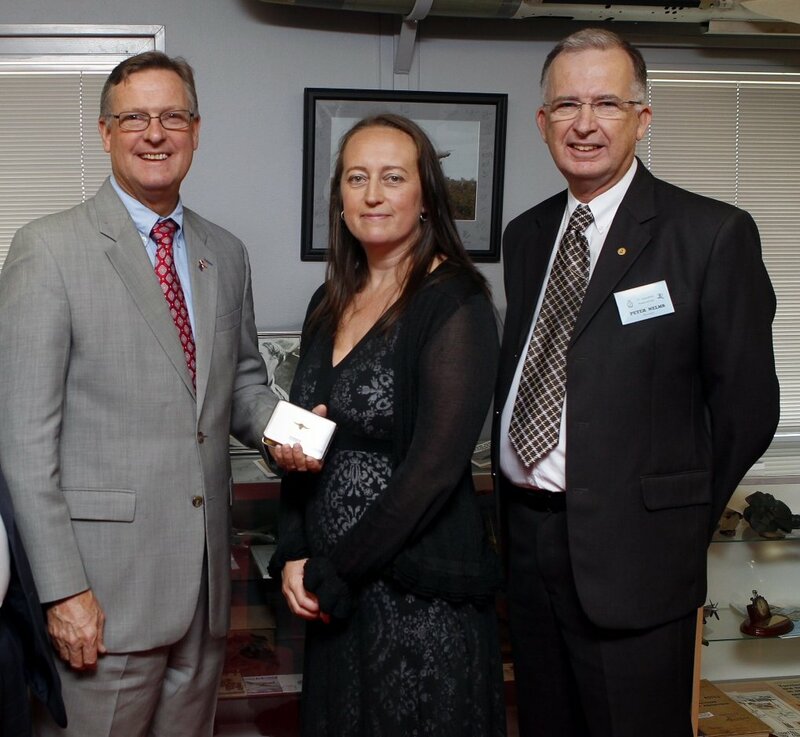 On November 2, the US Consul General, Niels Marqhardt, 75 Squadron Association Secretary Peter Nelm & author Noel Tunny, met Mrs Turnbull and CO 76 Squadron Wing Commander Christopher Hake at the squadron headquarters. 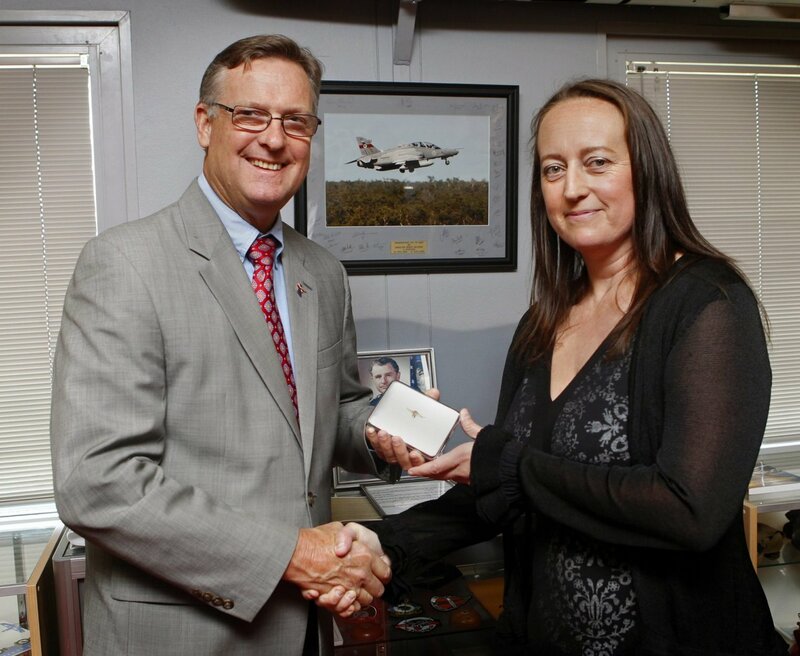 Mr Marquardt presented the cigarette case to Alison Turnbull. who in turn showed a mounted clock taken from Squadron Leader Turnbull's crashed Kittyhawk. n his address, Mr Marquardt said:"Today we commemorate when these two gentlemen came together with a lasting token of their friendship, mateship and camaraderie that passed from one Australian to one American. "Here's to Australian and American mateship that is just as strong today as it was 70 years ago:' While the mateship has never changed, to show what changes have been made over the years, WGCDR Hake showed Mr Marquardt and Alison Turnbull over a Hawk-127 Lead-In fighter, a far cry from the Kittyhawks flown by 76 & 75 Squadrons during those desperate days at Milne Bay.